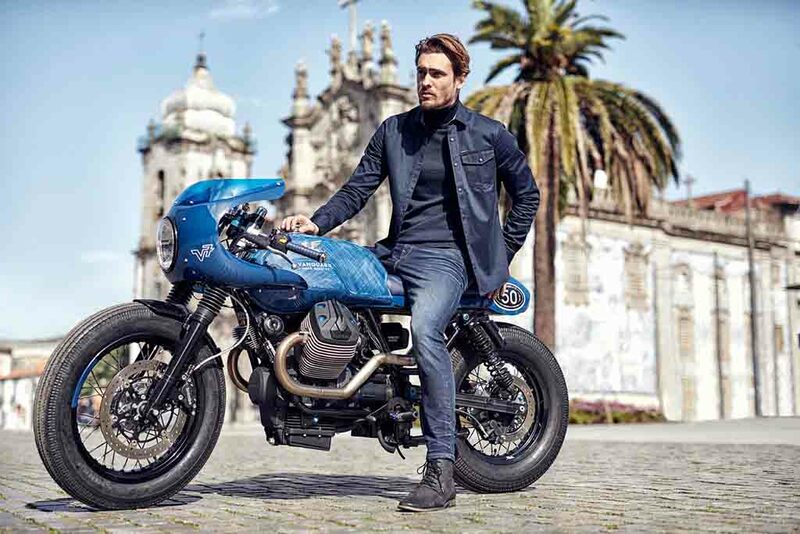 Motorcycling apparel maker Vanguard Clothing celebrates 50th anniversary of the Moto Guzzi V7 in unique manner. 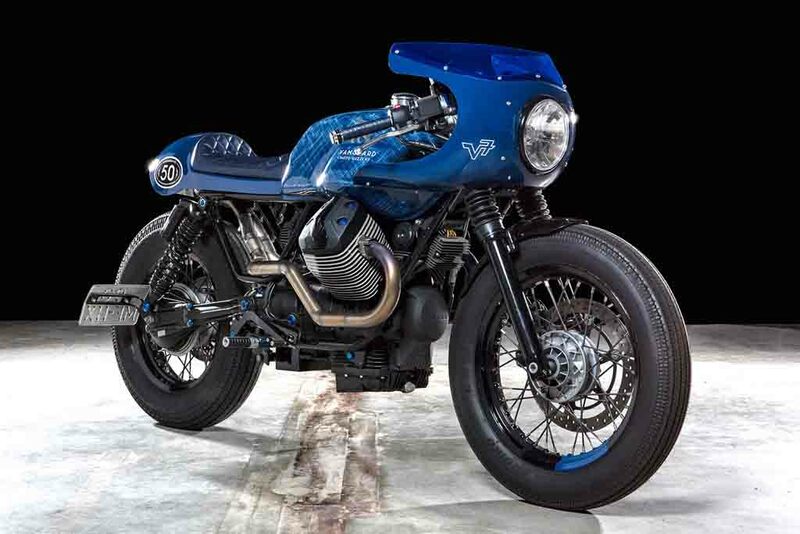 The company has created an one off Vanguard Moto Guzzi V7 motorcycle that comes wearing a pretty attractive denim blue paint scheme and several custom body parts. Also, the clothing brand has created a limited edition of the V7 Rider jeans. 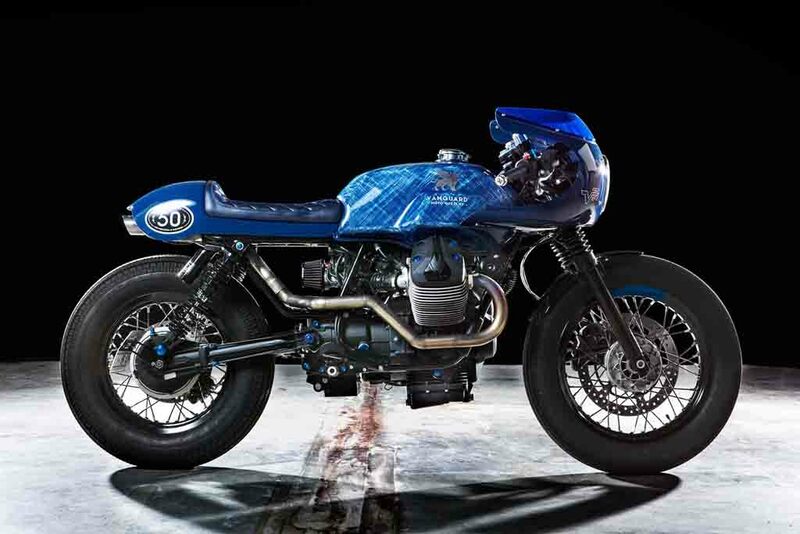 Switzerland based Gannet Design was assigned to design the customised motorcycle and Dutch custom studio Wrench Kings brought that into life. No wonder, the customised machine on two wheels looks very appealing. 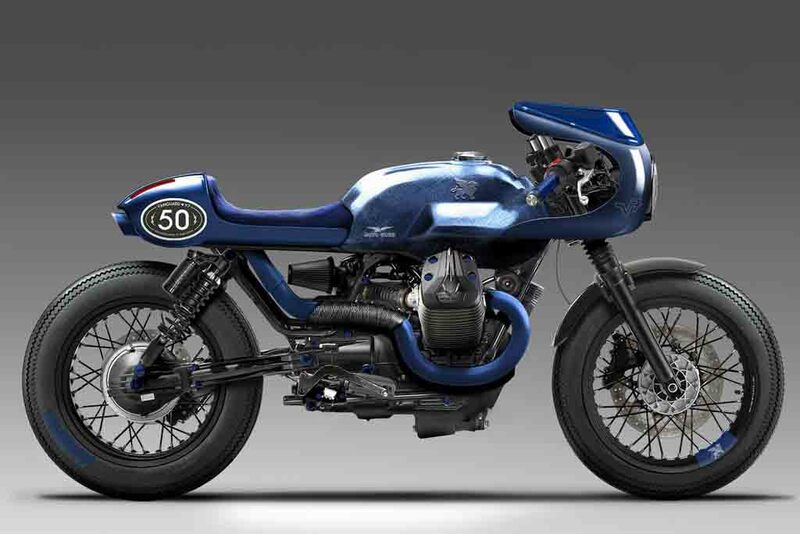 As Gannet Design claims, the bike offers slightly forward leaning riding stance bringing a racer appearance. 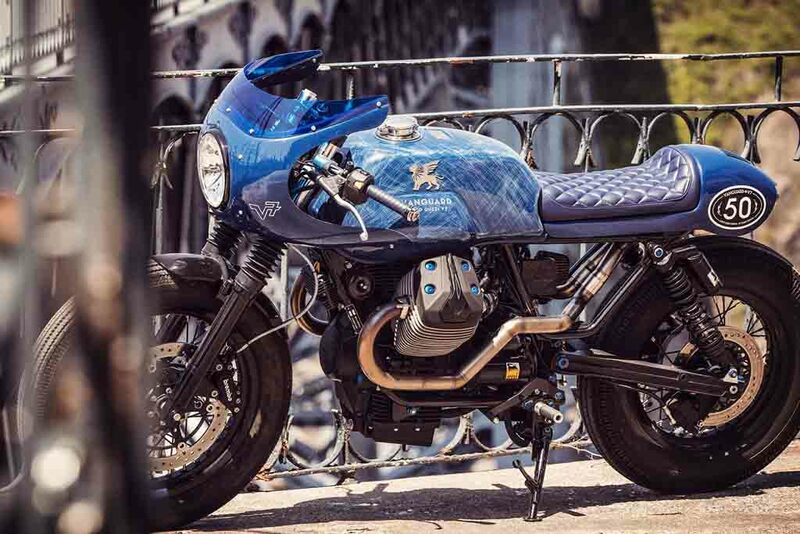 The bike also receives design elements from the Vanguard V7 jeans. 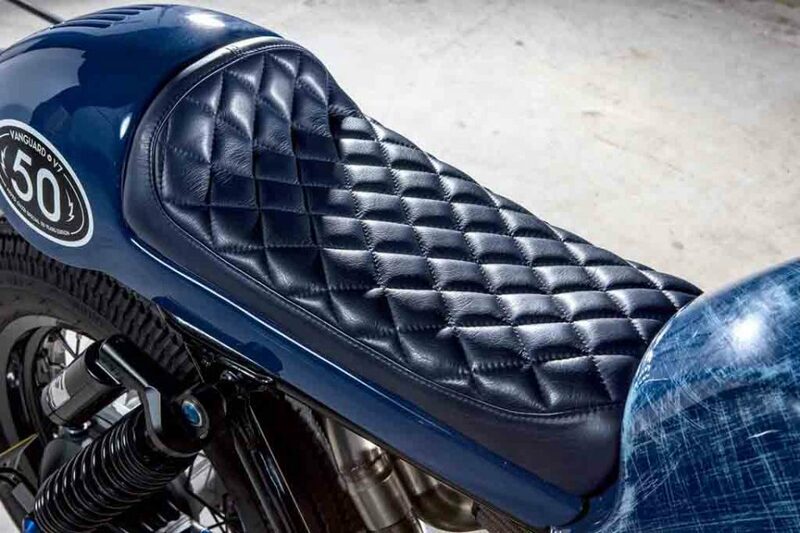 Apart from the eye-catching denim blue paint scheme, the bike also gets quilted leather seat that matches with the leather patch on the Vanguard V7 jeans. The fuel tank has been slightly customised and it sports Monza fuel cap along with a plate carrying the Vanguard logo and bike information. 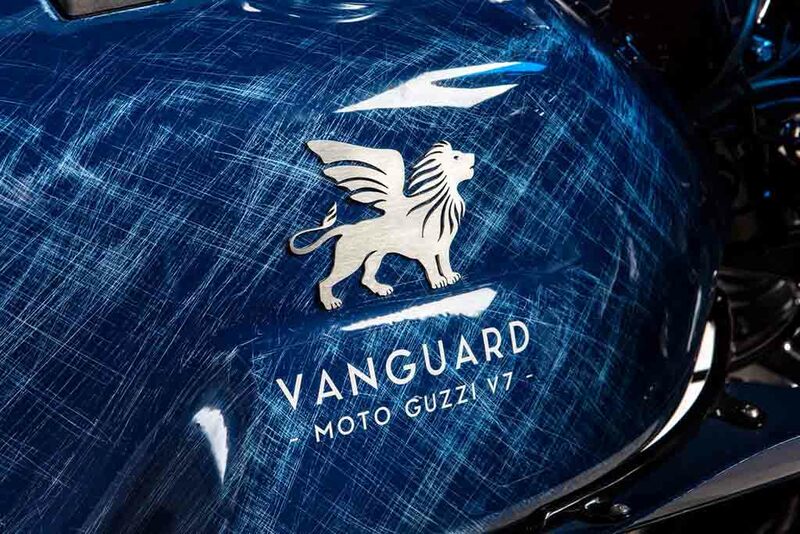 Vanguard Moto Guzzi V7 bike also gets a customised rear cowl. It features a cut out of the apparel maker’s logo covering the taillight. The customisation studio has shortened and lowered the subframe in order to make the bike more appealing looking and to offer the rider more control over the machine. Also, this mod-job helps the design to be matched with the new front fairing. 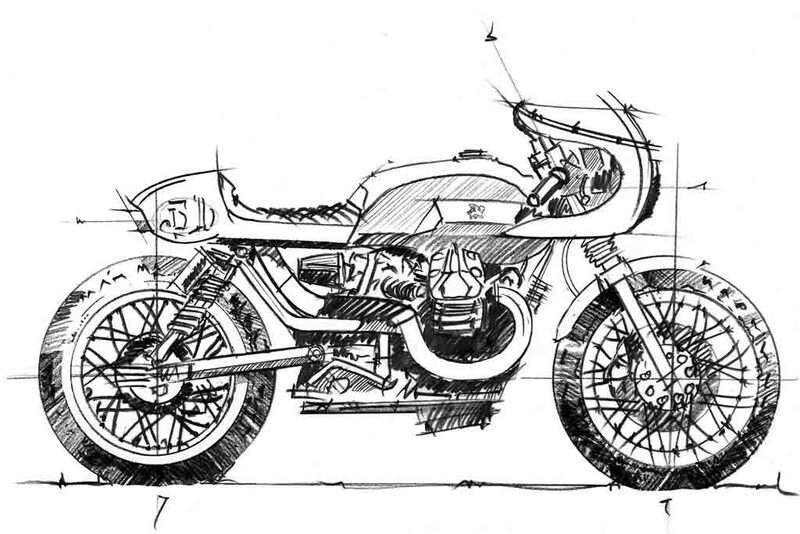 Overall, the entire custom bike carries a flowing line making it very appealing looking from every angle. 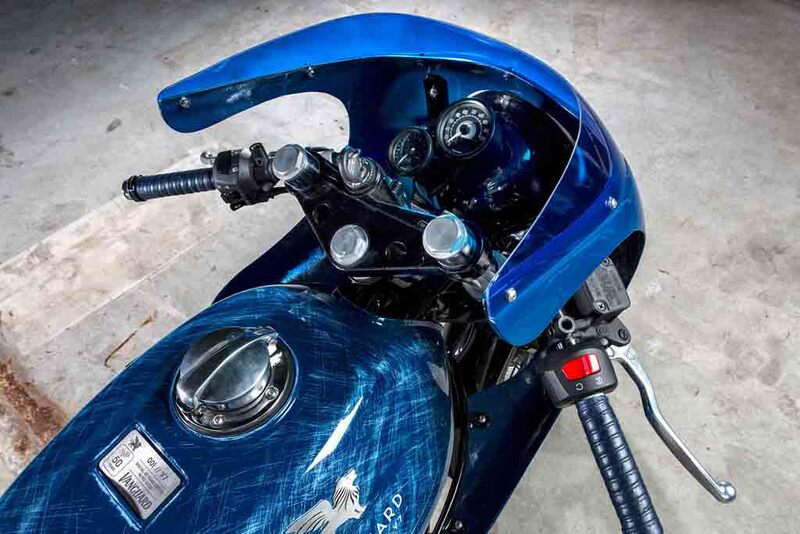 The modifier says the bolts used in the retro style bike are painted in anodized blue, the same colour applied to the buttons of the Vanguard V7 jeans. It gets a 2-into-1 exhaust that delivers a roaring sound. Interestingly, Gannet Design is the same studio that designed the Moto Guzzi V8 last year.